That feeling of freedom that comes from wet wading—in the river or on the flats—comes crashing to a halt when grit, pebbles or coral come between you and the inside of your wading boot. Our Neoprene Socks with Gravel Guard solve the problem, allowing you to fully enjoy the experience. 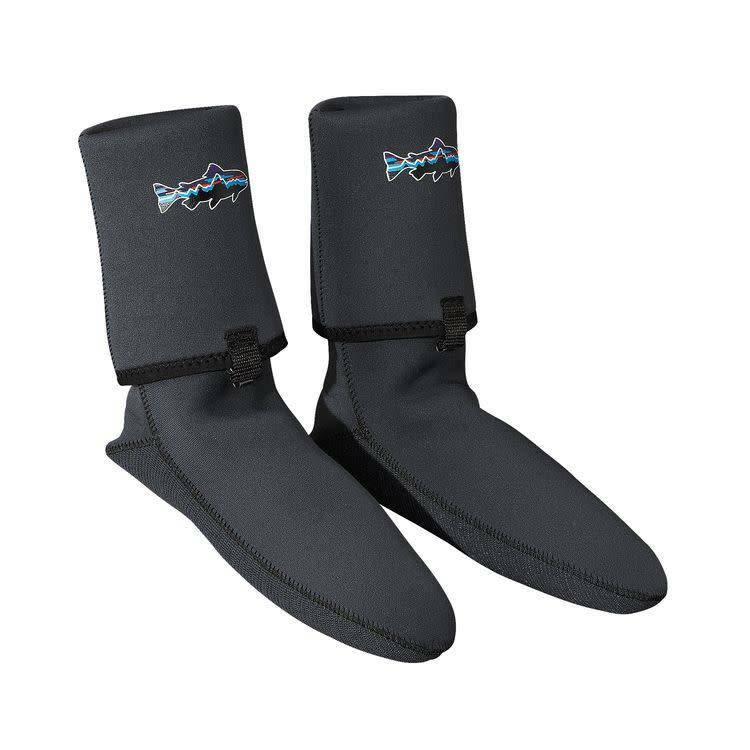 A soft, stretchy 3.5mm neoprene upper cushions and protects, while the dense neoprene sole resists abrasion and compression. Gravel guards fold down and attach securely to laces with built-in hooks. And to complete your wading mojo, there’s a sweet Fitz Roy Trout logo swimming across the top front of each gravel guard.